At 14:30 today people from Manchester will observe a one-minute silence to mark the anniversary of the Manchester Arena attack. The government have confirmed that all their buildings will take part in the gesture and they strongly suspect that many organisations in the private sector will too. After that, there’ll be a remembrance service which will be held at Manchester Cathedral. It will be attended by both the Prime Minister and the Duke of Cambridge. Last year, the Greater Manchester Police confirmed that 22 people died and around 800 people received either physical or psychological injuries when a terrorist detonated a home-made bomb at a sold-out Ariana Grande concert. One year on, they are still investigating the crime. A crime which sent shockwaves throughout the community of Manchester. Here at Hideaway, we will be taking part in the minute’s silence. In doing so, we’ll pay our respects to the victims, remember the dedication from the first responders and reflect upon the other people affected by the senseless and sickening act. On the night of the attack, we kept Hideaway open; a number of young people and their families came to seek reassurance, support from the community and to talk through any concerns that they had. As a prominent community hub, we felt that this was an essential part of our duty to the people of Manchester. It later transpired that the man responsible for this crime was, in fact, from Moss Side; the police, therefore, carried out a number of early morning raids here. This, understandably, unnerved parts of the community who were worried. Determined to combat this, we ran a number of workshops, designed to reassure the community, which were open to all. We took information from the police and relayed it to attendees in a timely, efficient and professional manner. We will continue to act as a source of credible information in times of community crisis. Other than that, we were operating a ‘business as usual’ policy and continued with our activities providing a safe space for young people to express themselves and develop on a personal and social level. To mark today’s anniversary, we will be unveiling a community mural which will celebrate the diverse nature of Manchester and the cultural importance of this great city. It will feature portrait photography and paintings of faces from the Moss Side area and will touch on how different people from all over the world have helped make and remake Manchester over the years. Join Mancunians from all over the city, along with leaders of Manchester’s Muslim community, today as we carry out a joint remembrance march. It will start at 12:30 outside Park Inn by Radisson, Cheetham Hill Road. Click here for more info. 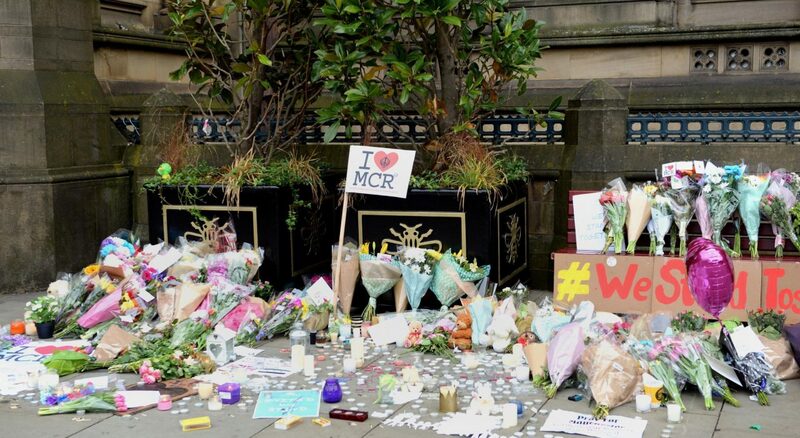 Were you affected by the incident in Manchester last year? You can contact The Survivors Assistance Network by clicking here.